Oh my goodness yummy soapy sweetness awaits you with this nummy sugar scrub. 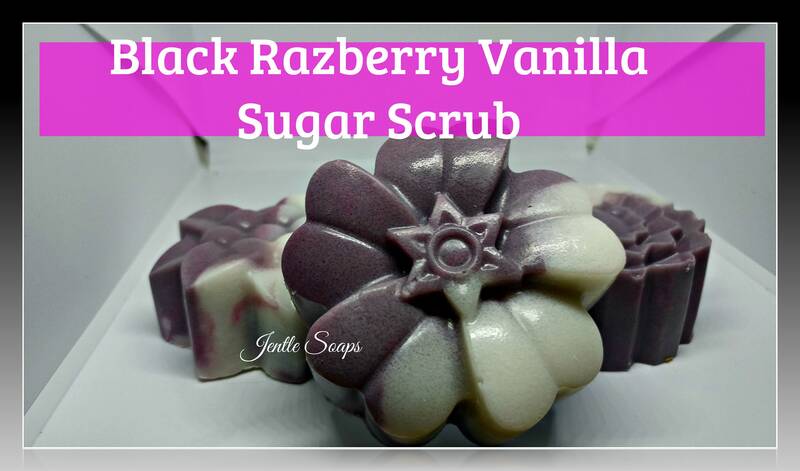 Black Razberry Vanilla is really a treat for the body as well as the senses. Packed with exotic sugars from around the world you are gently buffed to perfection leaving your skin all glowy soft and smooth. I used my coconut base and a honey glycerin in this formulation so it is bubbly as well as gentle. At Jentle Soaps our aim is to provide products like this one that are good for the skin and sweet to the senses. Custom orders are also available with this product.